The character that wasn’t supposed to exist. The moment that launched a universe. Going into the 1960s, Stan Lee’s duties at Marvel Comics had grown exponentially to the point his time was a premium. He and Jack Kirby had just propelled the company into a new era with the debut of Fantastic Four #1 in 1961, with more and more superheroes joining them every year. Lee was editing and writing a good portion of Marvel’s output at the time. With deadlines looming and artists sitting idly by waiting for the next script, Lee devised a way to keep production going around his hectic schedule: let the artists tell the story. In what would come to be dubbed “The Marvel Method,” Lee would discuss the plot of a book with the artist either at length or in a brief quickly-typed page and then let the artist go to town. The artist would then give Lee the completed artwork with some notes on what was going on in the story, and Lee would write the dialogue and sound effects and hand it off to the letterer. Over the years, this method of writing has led to debate over how much Lee contributed to the books that bore his name, especially when one considers the case of Fantastic Four #48 (1966). 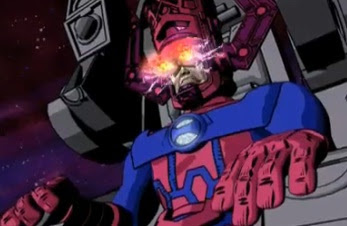 Galactus is a cosmic entity with an overwhelming hunger that could only be satisfied by consuming the entire life force of a planet, rendering it dead and inert. Finally, Galactus set his sights on Earth leaving the heroic Fantastic Four with the herculean task of saving their planet. In what was intended to be a simple story of the Fantastic Four versus the massive Galactus, artist Jack Kirby had snuck in a new character of his own creation: The Silver Surfer, a being whose body was entirely covered in silver and who rode a silvery surf board through the cosmos. 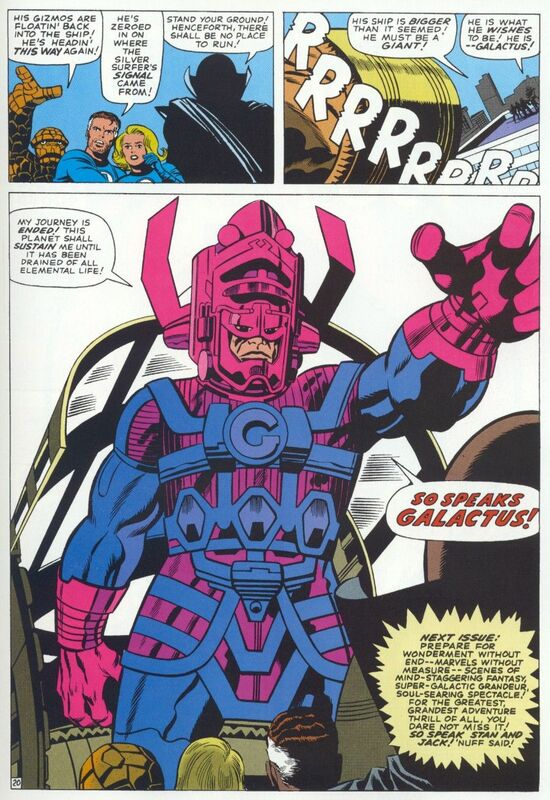 Kirby postulated that a being like Galactus would have a herald as a sort of advance scout to do the heavy searching for sustenance sources, to which Galactus would then follow. The reason for Surfer’s mode of transport was because Kirby had grown tired of drawing spaceships. The Surfer began as Norrin Radd, citizen of the planet Zenn-La, which was once on Galactus’ menu. To save his planet and the love of his life, Shalla-Bal, Radd offered himself up as Galactus’ herald to aid in his quest with the intention of leading Galactus to suitable planets devoid of sentient life; thus, sparing billions. Galactus infused Radd with the Power Cosmic, turning him into the Silver Surfer. But, it came with a price: Radd’s soul had been altered by Galactus, making him forget his intentions. Alicia reawakens the Surfer's humanity. Lee, initially skeptical of the character, grew to appreciate him and the Surfer became an integral part of the story: as he would become touched by the nobility of the Thing’s then-girlfriend, blind sculptress Alicia Masters, and turn against his master. Galactus is driven off, exiling Radd to Earth with the erection of an invisible barrier around the planet. 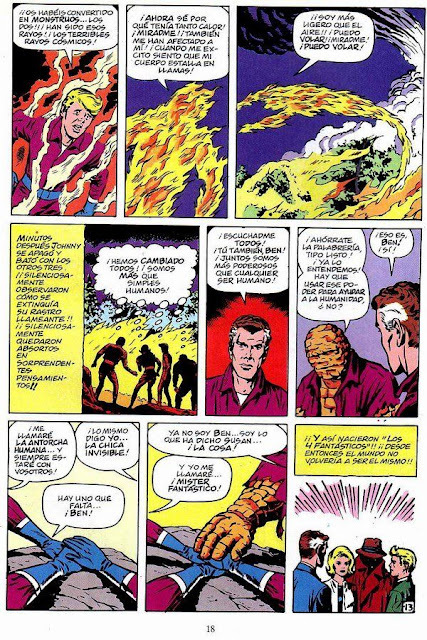 Popular with readers, the Surfer would return for several guest-starring spots in Fantastic Four before gaining his own series in 1968, the first of several, becoming a mainstay in the Marvel Universe. 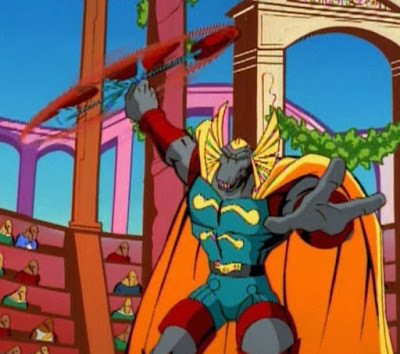 In 1967, Surfer made his animation debut on Hanna-Barbera’s Fantastic Four cartoon voiced by Vic Perrin, and then in the 1994 version as part of The Marvel Action Hour on Sundays voiced by Robin Sachs. Both debuts retold the comics’ origin story, with the former filling Alicia’s role with the Invisible Woman (Jo-Ann Pflug). Fox Kids head Margaret Loesch had successfully brought Marvel to television in the 1990s with the hit shows X-Men: The Animated Series and Spider-Man: The Animated Series. 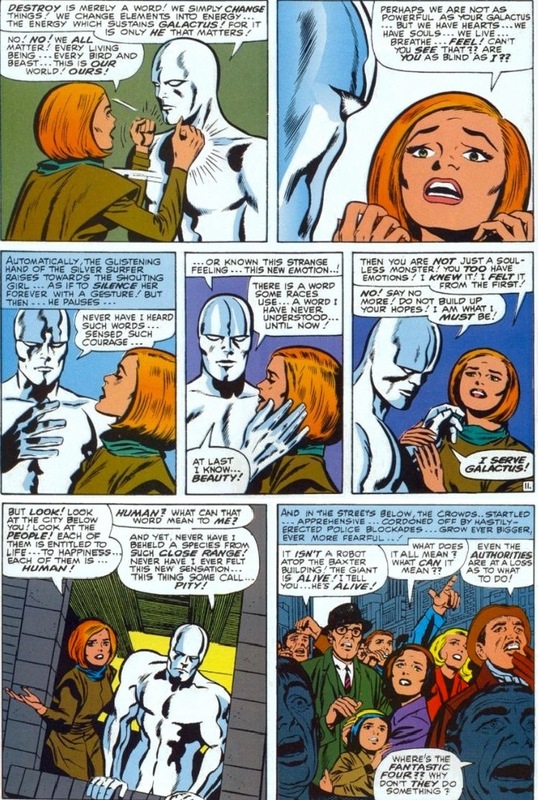 Also having an affinity for the Silver Surfer, he was the subject of the next Marvel offering for the network. Developed by Larry Brody, the series was heavily influenced by the work of Kirby and inker Joe Sinnott in its look for both settings and the characters designed by Roy Burdine and Shannon Denton. To create an original visual presentation, the series was done in a blend of traditional cel animation and computer animation; particularly for the scenes set in space. The computer animation was overseen by art director Dale Hendrickson. Silver Surfer debuted on FOX on February 7, 1998 and was co-produced by Saban International, like the other Marvel shows of the decade. 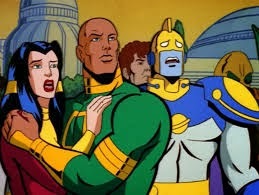 They chose to begin the series with a retelling of the Surfer’s (Paul Essiembre) origin; however, the Fantastic Four was omitted in the Surfer’s decision to save Earth to keep the show’s focus on the Surfer entirely. And, instead of being trapped on Earth, Galactus (James Blendick) punished Surfer by hiding Zenn-La from him. The series was notable for being the most verbose of any action-oriented cartoon, duplicating the dense monologues Lee would script for the character in the comics. Along with Brody, the series was written by Michael Steven Gregory, Dallas L. Barnes, Harlan Ellison, D.C. Fontana, Mark Hoffmeier, Christopher Kane, Jeffrey Knokey, Andrea Lawrence, Alan Swayze and Brooks Wachtel. Shuki Levy and Haim Saban (under the alias Kussa Mahchi) served as the series composers, and animation duties were handled by AKOM. 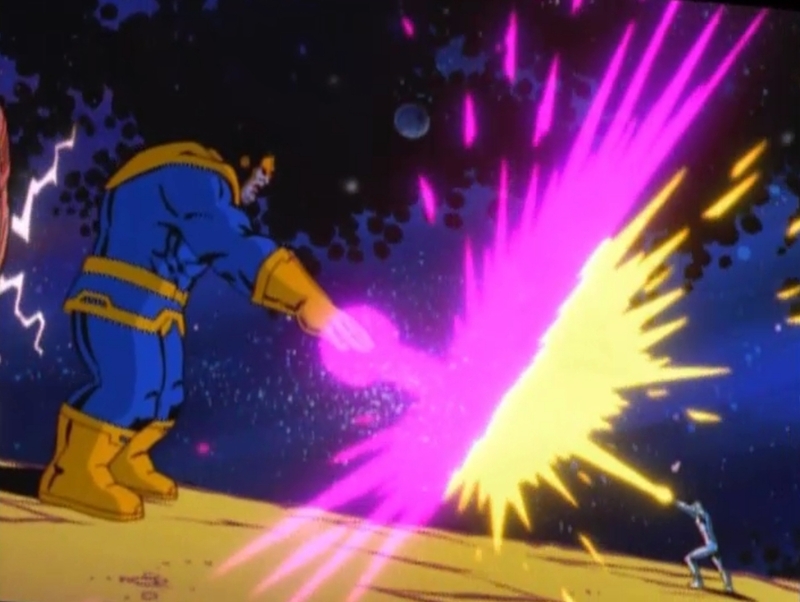 While Galactus would make appearances throughout the show’s run, the ultimate villain of the show was Thanos (Gary Krawford), an all-powerful being set on destroying the universe to win the love of Lady Chaos (changed from Death due to FOX’s standards and practices, voiced by Lally Chadeau). Like the other Marvel shows of the decade, Silver Surfer featured guest-appearances by other Marvel characters; particularly from their space-based stable. Amongst them were Uatu the Watcher (Colin Fox), a being part of a race dedicated to observing history as it transpired without interfering; the genetically engineered perfect being Adam Warlock and his dark counterpart, the Magus (both Oliver Becker); Pip the Troll (Robert Bockstael), a being created as part of the Kree’s slave labor force; space mercenary Nebula (Jennifer Dale); Ego the Living Planet (Roy Lewis); Gamora (Mary Long & Alison Sealy-Smith), the most dangerous woman in the galaxy; Galactus’ new herald from Earth, Nova, aka Frankie Raye (Tara Rosling), who served as an alternative love interest for the Surfer; Drax the Destroyer (Norm Spencer), a cyborg with an organic brain created by Thanos’ father (brother in the show due to a typo) Mentor (Cedric Smith) to battle Thanos; Beta Ray Bill (Karl Pruner), who in the comics was associated with the Norse thunder god Thor but instead merely shared characteristics with him, and whose people were locked in a group dream utilizing Zenn-La technology; and the cosmic entities Eternity (John Neville), the embodiment of the multiverse, and Infinity (Elizabeth Shepherd), representing the totality of space. While the show was in production, Marvel was undergoing financial trouble that would result in its eventual bankruptcy and subsequent reorganization. This also led to some legal disputes between Marvel and Saban. The first season had been completed and aired, and production for the second season had already begun. After 8 scripts for season two had been written, production was shut down while both parties worked it out. Ultimately, Silver Surfer ended up being cancelled by Fox despite its strong performance in the ratings in favor of starting over fresh with Marvel and looking into new properties for adaptation. That took the form of Spider-Man Unlimited, also helmed by Brody, and Avengers: United They Stand, which debuted in 1999. In the time since, Brody has released the series bible, the scripts for the first season, and the scripts for season two on his website, along with additional material. Silver Surfer was the last Marvel cartoon to be relatively faithful to the source material. All the programs since have had a focus on drastically reinventing the characters and story by either changing locations, adjusting character’s ages, or being based on movie properties. 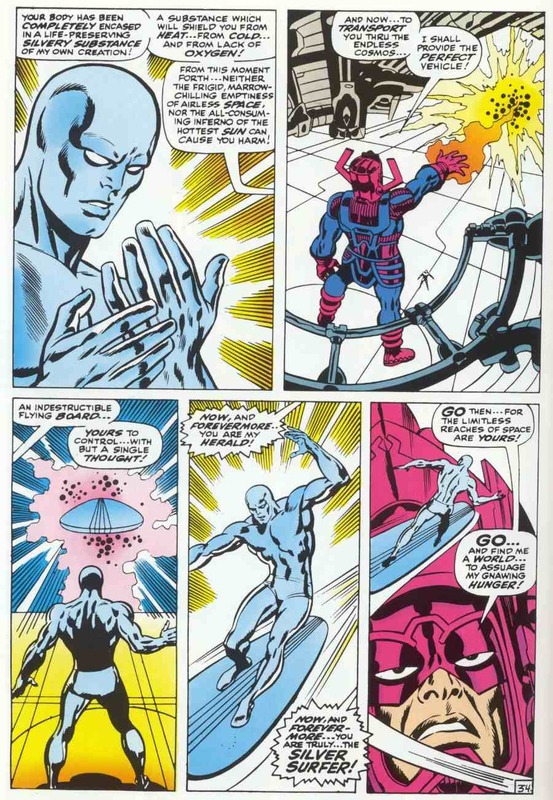 “The Origin of the Silver Surfer – Part 1” (2/7/98) – Galactus comes to feed on Zenn-La, and Norrin Radd offers himself as Galactus’ herald if he spares the planet. “The Origin of the Silver Surfer – Part 2” (2/14/98) – Surfer, devoid of memory, undergoes his new task as herald, but finds deep feelings stirring inside of him. “The Origin of the Silver Surfer – Part 3” (2/21/98) – Galactus threatens Earth, sparking the return of Surfer’s memory and causing him to rebel against his master. “The Planet of Dr. Moreau” (2/28/98) – Searching for a way back to Zenn-La, Surfer ends up entangled in a battle against the Kree. “Learning Curve Part 1” (3/7/98) – Surfer’s search for Zenn-La leads him to the Universal Library, base of the knowledge of the Watchers, and to trouble. “Learning Curve Part 2” (3/14/98) – Surfer must choose between obtaining all knowledge in the universe or remaining human and free. “Innervisions” (4/4/98) – To save a planet, Surfer must destroy the foundation of its existence. “Antibody” (4/11/98) – Galactus is dying, and only the Surfer can save him. “Second Foundation” (4/25/98) – Nova attempts to help Surfer find Zenn-La, but they end up on the Skrull homeworld instead. “Radical Justice” (5/2/98) – Galactus’ survivors capture Surfer and put him on trial for crimes against all life. “The Forever War” (5/29/98) – Surfer must accomplish a task for the Kree before they will allow him audience with their Supreme Intelligent for help home. “Return to Zenn-La” (5/9/98) – Surfer finally returns home, but soon discovers it’s a construct of Ego, the Living Planet, who seeks to repay his debt. “The End of Eternity, Part 1” (5/16/98) – Eternity and Infinity recruit Surfer to stop Thanos from causing time to flow backwards, thus destroying the universe.